Home Remedies: Can fish oil supplements treat depression? 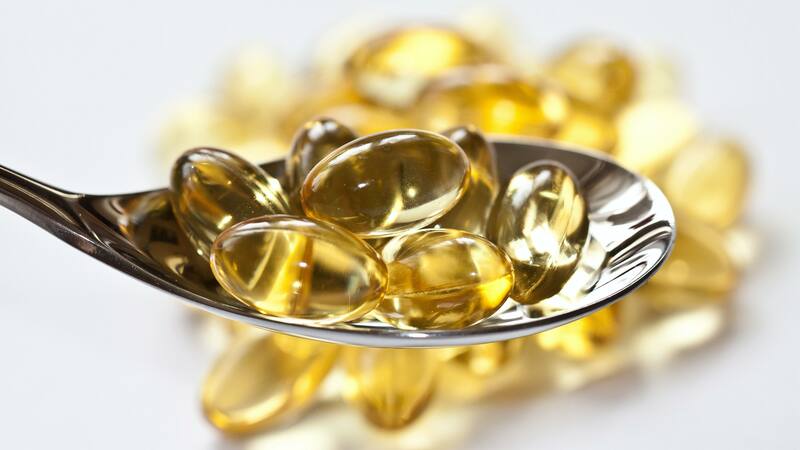 Fish oil supplements may ease depression in some people. Some studies in adults suggest that omega-3 fatty acids may help treat mild to moderate depression, but more research is needed. Fish oil is a good source of omega-3 fatty acids, which play an important role in brain function. People with depression may have low blood levels of brain chemicals called eicosapentaenoic (i-koe-suh-pen-tuh-e-NO-ik) acid (and docosahexaenoic (doe-koe-suh-hek-suh-e-NO-ik) acid. These acids can be found in fish oil. Eating fish a few times a week may provide your body with these healthy oils. Examples of fish high in omega-3 fatty acids include sardines, salmon, herring, trout and canned white (albacore) tuna. If you're pregnant or nursing, limit your weekly fish intake to 12 ounces (340 grams) of a variety of fish, and make wise choices. This limit is due to mercury levels. For example, salmon is typically low in mercury. But eat no more than 6 ounces (170 grams) of canned white tuna a week because it's higher in mercury than light canned tuna. However, while it's generally true that the best way to get nutrients is through healthy foods, this is one example where a supplement may help. Some studies have shown that contaminants like mercury do not appear to accumulate in fish oil but remain primarily in the meat of the fish. So if you're concerned about mercury, a high-quality fish oil supplement may help with depression, but ask your health care provider for advice. Fish oil alone isn't a depression treatment, but it may be a helpful addition to prescribed medications or other treatment. Although more studies are needed to determine exactly what role omega-3 fatty acids play in depression, it's possible that fish oil supplements high in omega-3 fatty acids may lower the risk of depression. And omega-3 fatty acids help protect heart health. This article is written by Mayo Clinic staff with Dr. Daniel Hall-Flavin. Find more health and medical information on mayoclinic.org.